Before your wine tour, you may not know that wine-making is an ancient craft, seriously begun before any historical records were kept in a part of the world that has our attention even today. . . yes, the mid-east. Although China “brewed” the first wine almost 7,000 years ago, it wasn’t the serious undertaking it became in ancient Babylon and subsequently Rome. We get a close look at the process with a visit to one of California’s renowned wineries, courtesy of a Wine Country Tour from San Francisco. The modern version of the craft is performed by individuals who have a passion for process—for the excitement that grows with each year the bottle sleeps and dreams its way toward the day when its contents are allowed to meet the air for the first time. Of course there is the mid-process opportunity, when the wine leaves the barrel for the bottle. You can bet not only tasting, but color and aroma checking is going on then. And these guys know, with the smallest of sips, whether there’s a jewel in the making or a major unexpected turn has occurred and steps will need to be taken (like a foray into the cooking wine business)—a process few of us would have the patience to endure, nor the all-in attitude to sustain. Think about the Wine Country Tour as an exciting introduction to the vintner’s experience. Despite China’s economic explosion across the world, it remains fairly remote to the international traveler. However, you can still visit its best, well-known representative settlement here in this country. 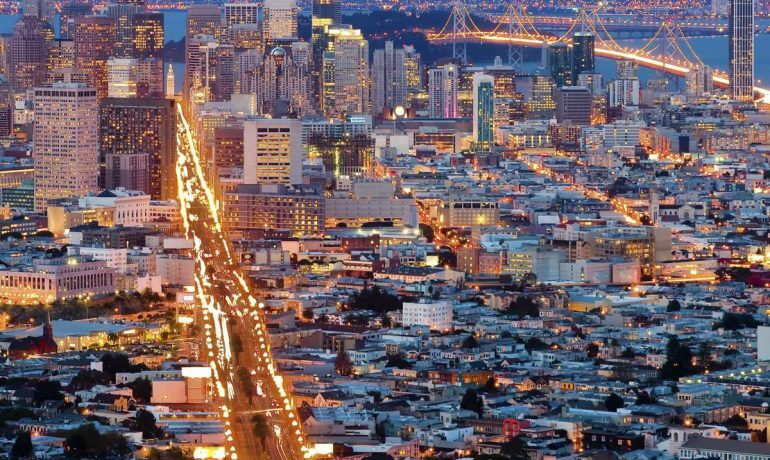 Many guides in San Francisco say that Chinatown is the go-to visit San Francisco destination on their itinerary. Spending the day will surely leave you with a delightful sense of its ancient heritage, venerable social and complex community traditions that are still in effect in this fascinating citadel. Moreover, if visitors are looking to discover the dramatically unique against their American ways and traditions, this is the place! It’s all fun to make comparisons and taste a different world. 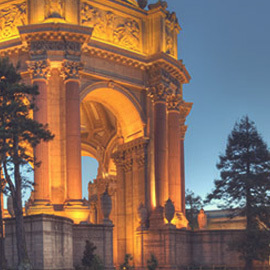 Chinatown provides the opportunity and your visit San Francisco tour makes that comparison a fascinating experience. With a charming welcome sign and a gorgeous outdoor introduction, theBenziger Family Winerybestows a rich experience on their guests who have taken the wine tour from San Francisco. When the weather is lovely (which it often is) guests can make their selections in the very serious wine tasting room and wander to the scenic gardens that share the land with the notable vineyard. The winery was founded in 1980, when Bob and Joe Benziger put their upscale New York wine shop up for sale and moved to California, where the brothers joined their brother Mike and his wife in a newly acquired Napa vineyard. So, in the middle of an economic slump, the Benzigers managed to start a successful winery Out West. 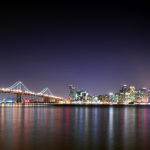 Occupying the top of the itinerary for every visit San Francisco tour, its history, development and culture are deeply ingrained in the piers of Fisherman’s Wharf. It’s all about the water. 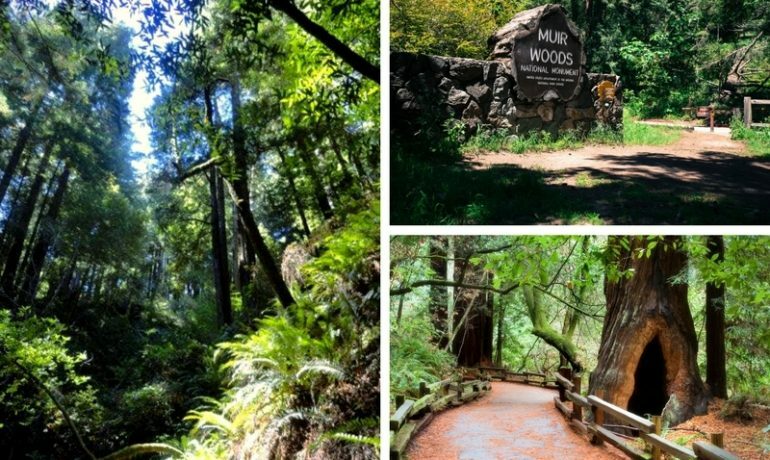 There it is today, founded in 1891 and waiting for those who visit San Francisco to take full advantage of the heritage architecture, museums, restaurants, markets and seafood that have become the stars of this lively setting. One of the few visitors’ destinations that has grown up more naturally than most, the Wharf’s original authenticity speaks volumes about its genuine reality. Look there on the corner, beyond the sign, to its left and you’ll see a handsome example of Art Deco architecture. The sign itself is famous the world over and, called the “Crab Wheel,” it’s the spot photographed the most by tours in San Francisco. 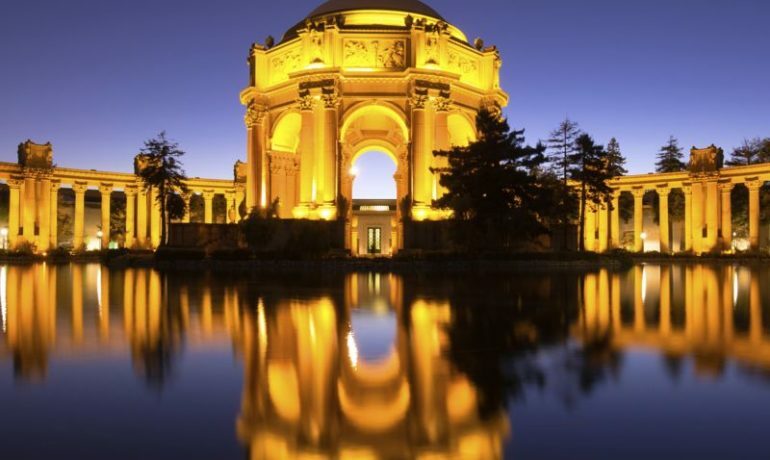 A San Francisco city tour would not be complete without visiting the Palace of Fine Arts. Of course, there’s no royalty in residence. However, the architecture is fit for a monarchy, with a style that borrows freely from Bernini’s (1598-1680) neoclassical Saint Peter’s Square. This fascinating work of art, in its own right, was designed for an exhibit at thePanama Pacific Exposition,held in 1915, to celebrate the restoration of the city after the devastating 1906 earthquake and the opening of the Panama Canal.